For many, tooth decay is a painful problem that is a result of bacterial action – it is even dubbed by the National Institute of Health to be the most prevalent chronic disease. However, a recent discovery may mean the eventual end of this problem. Researchers at the University of Southern Carolina have devised a way in which we can regrow non-living hard tissue that looks quite promising; this could potentially lessen or even eradicate the pain that is usually associated with tooth decay. Dentistry Professor, Janet Moradian-Oldak has spent the last two decades researching different ways to regrow the enamel of teeth, seeking to create one of the biggest breakthroughs in the dental industry. The process has proved to be exceptionally tricky however, because unlike bone, tooth enamel is simply unable to rejuvenate itself – as is the case with all non-living tissue. With this is being said, a pivotal moment was set to come on 22 October 2015. On this day, in collaboration with Sauma Prajapati, Moradian-Oldak had a study published in the Biomaterials journal. 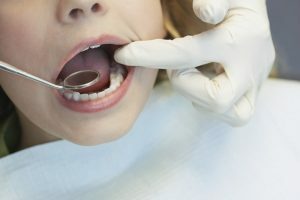 This study stated that an enzyme found only in teeth is able to dissect amelogenin proteins, which facilitates organised enamel crystal formation. Titled metalloproteinase-20, the enzyme basically stops any hard material inhabiting vacant space. Moradian-Oldak’s team is the first to determine the exact function of the enzyme that prevents protein occlusion. According to the study, MMP-20 is generally released early on during the enamel formation process. This enzyme basically splits up proteins while enamel is being crystallised, eradicating any residual ‘sludge’ so that the body is able to produce more enamel. Moradian-Oldak and her team of researchers will pair this new discovery with a previous finding, which was published in the Journal of Biomedical Engineering and Informatics on 2 November 2015. This previous study determined that an amelogenin-chitosan hydrogel could repair the early signs of tooth decay by growing enamel that was able to reduce lesions by as much as 70%. USC is in the clinical trial phase of this enamel regrowing gel research, as the US Food and Drug Administration still has not approved the results of their initial findings. However it is hoped that one day in the not too distant future that people will be able to use a specially-designed mouthguard or even teeth strips that have been coated in hydrogel in order to regrow substances to reduce decay and the resultant teeth sensitivity. Products that contain fluoride and some types of calcium phosphate actually promote the remineralisation of lesions on enamel. Many of these items are commonly found in households, in products such as mouthwash and toothpaste. As such, products like these should be used more regularly. While they won’t fix tooth decay completely, they can ‘plug’ the problem so that people won’t feel the pain as acutely. In comparison, the gel is able to fill holes and cracks with a substance that is much closer to enamel in real-life. Compared to crowns that weaken over time, the gel could be a more effective solution. In the US, statistics indicate that 92% of people between the ages of 20-64 have some form of dental decay on their teeth. Teeth grinding, eating acidic foods, drinking alcohol and gum recession are all problems that cause tooth decay. To test their theory, researchers at USC used wild mice and MMP-20 null mice. The hydroxyapatite crystals in the MMP-20 null mice were shorter, thinner, and wider, than those discovered in the wild mice. Furthermore, the research demonstrated that 31% of enamel nanocrystals in the MMP-20 mice were imperfect. In the wild type mice, only 10% of was imperfect. 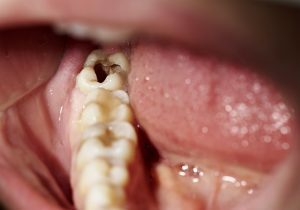 To prepare for possible human studies, the researchers conducted tests on human molars without lesions. Using these molars, they sliced each one into four sections, created artificial decay and coated each one in artificial saliva. Samples of various ions were placed in a remineralisation solution, which created an enamel-like substance with a disorganised structure and irregular crystals. Compared to the hydrogel, which grew oriented crystals and reduced the depth of the lesions by 50% to 70% after just seven days of applying the hydrogel. This was a major improvement on other processes that the team trialled; in one study, only 24% of decay was eradicated, even after 12 continuous days of treatment with sodium fluoride. Moradian-Oldak then explained that the next step is to use MMP-20 to alter the gel recipe, in an attempt to create a stronger enamel-like seal. This dual development could really revolutionise the industry, not just for dentists, but also for people around the world. Tooth decay affects millions of people all around the world, so for a development like this to occur, the possibilities really are endless.